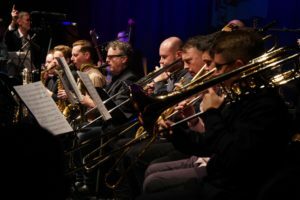 The Gareth Lockrane Big Band confirmed that there is nothing quite like a Big Band to generate pulsating excitement. 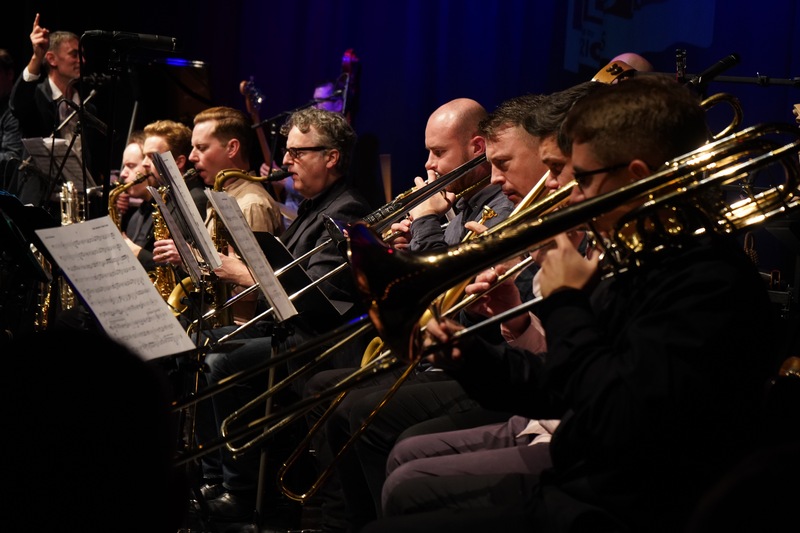 Performing at The Other Palace as part of the London Jazz Festival, the GLBB provided a joyous celebration of the Big Band tradition. Not least, it was the kind of line-up which previous generations of band leaders have favored over many decades. 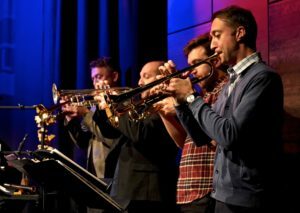 Trumpet, trombone and sax sections were backed up by piano, bass and drums, augmented by guitar and percussion. While there were echoes of the past in some of the arrangements and voicings, several stand-out numbers in the band’s set bore witness to the leader’s eclectic musical ideas and approach. Convention was frequently given an unconventional twist. At the heart of GLBB’s distinctive sound is a library of original scores which provide a fresh take on some old traditions. Thus the opener, Fistfight at the Barndance, the title track of GLBB’s debut CD of the same name, uses a catchy straight-ahead theme with choppy rhythms and driving horn riffs and then adds New Orleans style call-and-response exchanges to the mix. Other numbers drew on different styles to create a programme that continually changed gear in terms of pace, rhythm and mood. As Lockrane points out, his musical influences and tastes are diverse. His original compositions are inspired by jazz, blues, funk, gospel, as well as what he says is a love of cop-rock soundtracks. Not surprisingly, what emerges is a distinctive big-band style that is constantly shifting yet unmistakable. Numbers such as the ballad We Will Never Meet Again conjured up the style of earlier big bands with mellow sax and trombone backings and soaring trumpet crescendos. Then there was the straight-ahead swing that underpins On the Fly. In many other cases, the groove is based on funk and rock rhythms and figures. The clue is frequently in the titles: Stutterfunk and Grooverider do what they say on the label. If there is one feature that marks out GLBB from other big bands, it is the use of the flute as the lead voice. Against all the dynamic odds, it works. 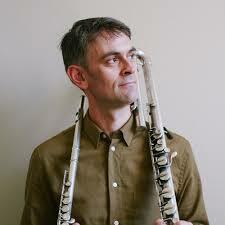 But then Gareth Lockrane is no ordinary flute player. 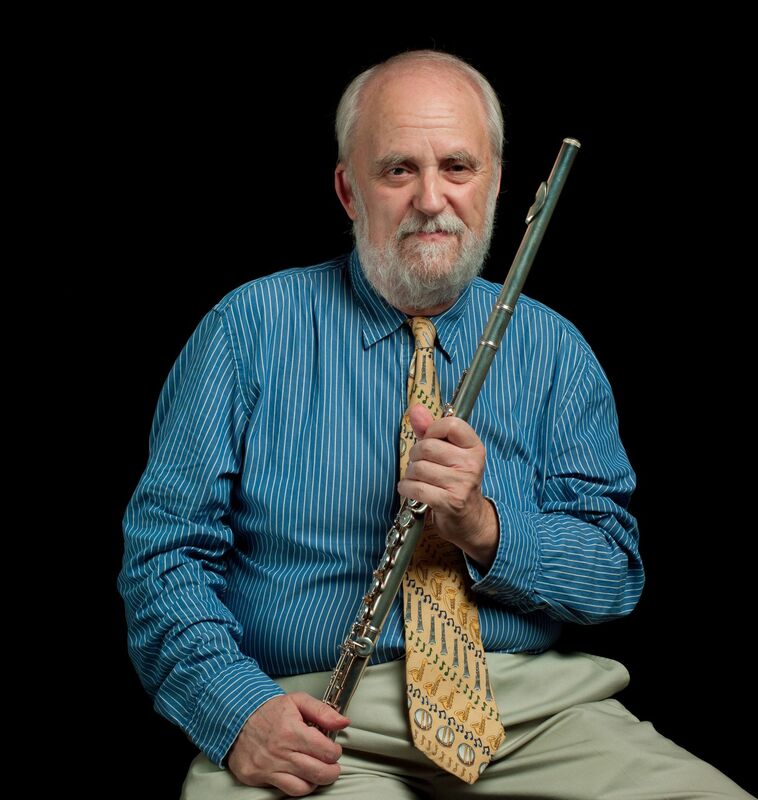 He is recognized as one of jazz’s stand-out performers for his sound, effortless agility and facility on the whole flute family from piccolo and concert flute to alto and bass flutes, all of which he played on different numbers. The bass flute carried the melody on his ballad, We Will Never Meet Again, and also for the theme of the gently lilting Forever Now. It was not only Lockrane who contributed memorable solos during the concert. As an arranger, he places as much emphasis on solos as ensemble work. 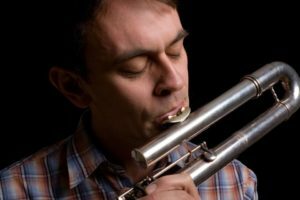 So when soloists stretch out, the music can capture the spirit of small-group jazz, albeit in the context of a big band environment. Nearly every member of the 19-piece band was given their moment to shine. Several soloists featured on multiple numbers: Steve Fishwick’s trumpet, Graeme Blevins’ alto and Trevor Miles’ trombone were some of the horns that contributed several fine solos during the course of the concert. Julien Siegel’s tenor saxophone was magical on Forever Now. Mike Outram’s guitar provided an urgent edginess that was perfectly attuned with the groove of funk-based numbers. In his sleeve notes for his CD, Lockrane says that he likes to think of himself as the host of the party “a middle man between the rhythm section and the horns.” On stage, he is more like a master of ceremonies, sometimes urging on different sections of the band as the compositions unfold, at others taking up a position in front of the band to direct crescendos and codas. Most of the programme was made up with compositions featured on the band’s CD. Only two, Grooverider and I Remember the X Men, hark back to earlier days. Hearing this music performed live makes you realise why there really is no substitute for sitting in front of musicians with a common purpose: delivering a great performance and enjoying themselves in the process. Additionally gratifying was a sound system engineered to give the right balance to the ensemble and soloists. Always a bonus, but not so often experienced. 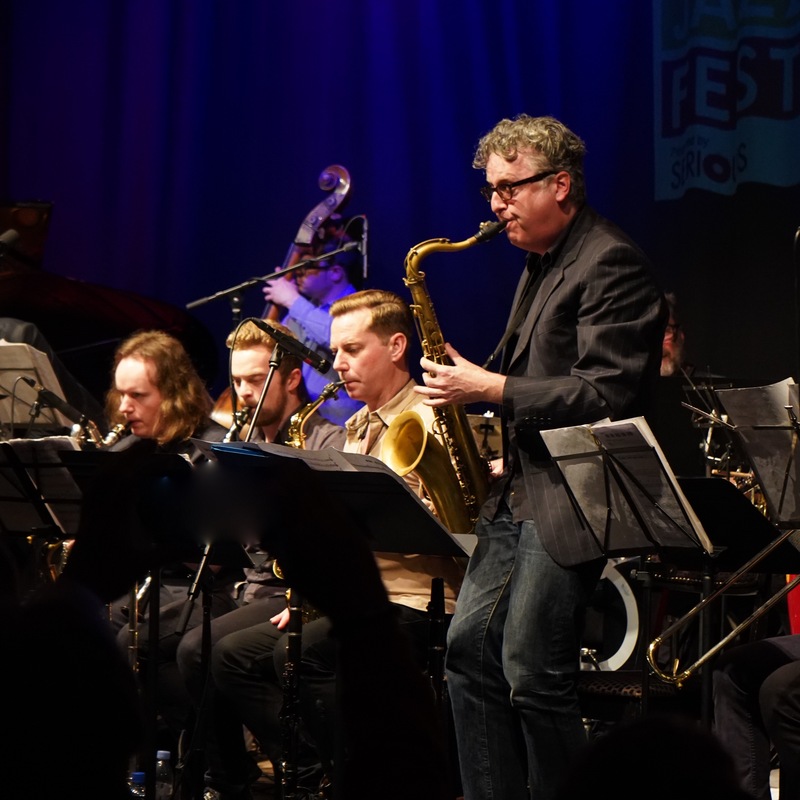 One member of the audience who had travelled especially to London for the jazz festival and had already taken in some great performances said to me that, in his opinion, this concert was the best of them all. I wasn’t inclined to argue with him. 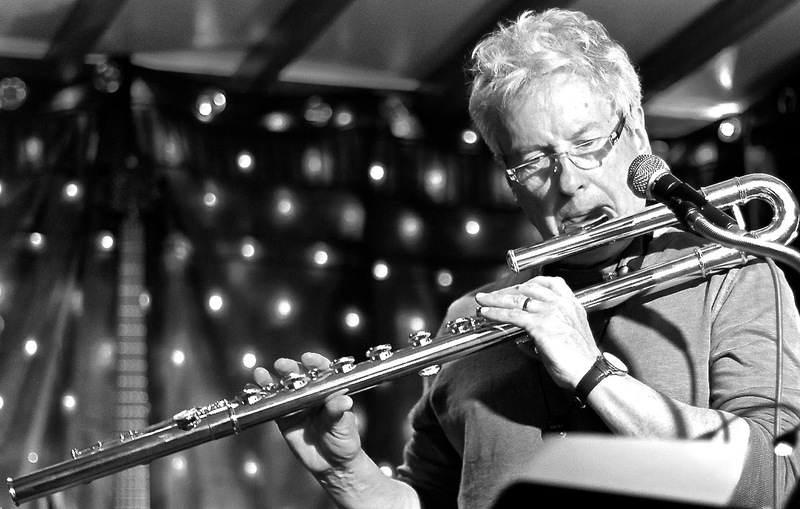 David Harvey is a flute and sax player and sometime member of the London Jazz Flute Big Band. He is one half of the duo 1 + 1 with guitarist Eddie Abdullah, and co-leader of the quintet, Meantime. In addition he is a photographer, specializing in capturing live music performance. His current exhibition, In the Moment: Jazz Portrait Studies, runs until December 31st 2018 at The Junction, Examples of his photographic and recorded work can be found here. 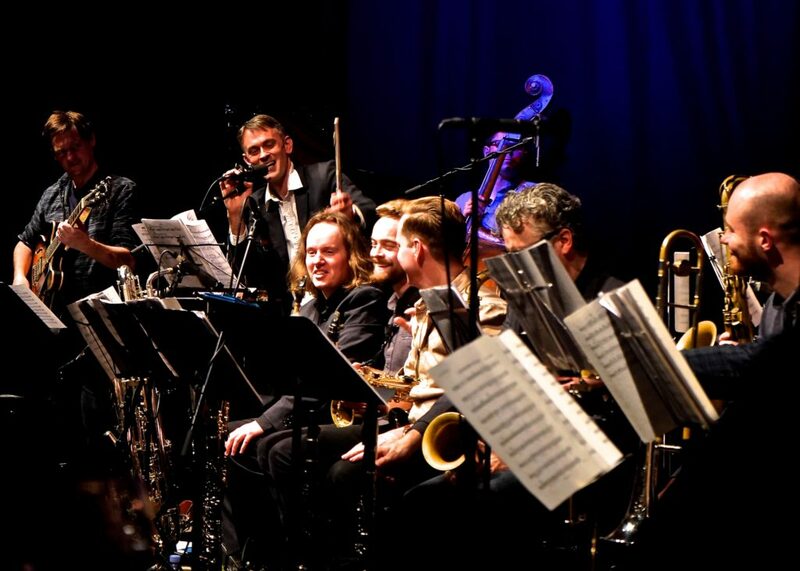 More on the Gareth Lockrane Big Band and their new recording.